Black Friday is the biggest sale day of the year. Traditionally, it is the day most stores cross from red (losing money) to black (making money). Most cross in style with more deals than we can ever partake in. Participating in the best deals once required you to venture out at 3am. Now, you can get a number of great deals from your house. Cyber Monday will bring deals of its own, but it is not always the case that the best Internet deals come out Monday. Many stores see the same sale both days (assuming inventory lasts through the weekend). Some sales are better on Black Friday, even online. I suggest getting a plan together of what you want to purchase. While the deals are vast, some stores will have deals others will not. You may overpay for your coveted item if you assume the deal they’re offering is best. To give you a head start of planning purchases, I’ve scrolled through affiliate offers. Some of these may already be posted for public viewing already. Others are not. There are so many offers, so I grabbed the ones that most interest me. All stores want you to know what is out, so public offers should fully roll out before the event. Nordstrom is having The Savings Start Now Sale starting today and running through 12/02/15. Find Sweet Steals in almost every department. These steals will alternate throughout the event. Lord and Taylor is having a Fast and Fab sales event today only. Get up to 60% off shoes, cashmere, and coats. Code THANKS will also get 20% off most items and 25% off fine jewelry from 11/24/15-11/28/15. Get a 5 piece organizer pouch and 5 samples with a $100 beauty purchase from 11/24/15-11/29/15. Use code BONUS for $20 off a select $150 purchase from 11/25/15-11/28/15. Target has already released its ad for Black Friday Deals. It will also offer 10 Days of Deals where each day releases a new offer. That starts today with 10% Electronics and entertainment using promo code LIST. Each deal will only be valid the day it’s released. If you know Apple lovers, the Buy one, get one 30% off iTunes Gift Cards valid 11/26/15-11/28/15 will be a great gift. Although the list of included brands in the Buy one, get one 50% haircare and fragrance has not released, it’s very promising. That promotion is valid 11/26/15-11/28/15. 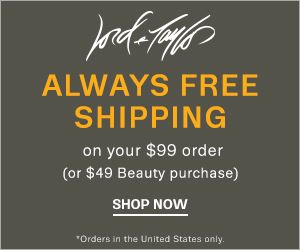 BON-TON will offer free shipping using code FREESHIP from 11/23/15-11/29/15. During the same period, all promotions listed will also be valid. Receive a free spa robe with a $65 beauty purchase. Lancome Mascara Gift Sets are $29. Mix and Match Rollerballs. Buy two, get one free. Get Ladies Designer Coats for $100 (regularly $260-$300). Sephora releases $10 Beauty Deals on Black Friday only. Offers are listed on the Sephora app, but they will post live to the website before the sale for non-smart phone users. Last year, there were no offers I had to have. This year, there are at least two I plan on partaking in. The deal above is worth $30, making it a 66.6% discount. Each mask is worth $6 making this set worth $18. I love sheet masks, but I hate the cost. Getting them for less than $4 each and you can count me in. Walgreens will be offering 25% off using code BLACK25 from 11/26/15-11/28/15. Get 20% off designer perfume using code PERFUME20 from 11/26/15-11/28/15. Macy’s has 20% off select purchases before and during Black Friday. Use code FEAST from 11/23/15-11/24/15 and code THANKS 11/25/15-11/28/15. The second code has less exclusions, so if the item you’re looking for does not apply with FEAST, try again with THANKS. Ulta has a 12 Days of Beauty Advent Calendar of Ulta branded items for $16. Chi Holiday Flat Irons are available for $89.95 (Regularly $149.95). Tigi BedHead Styling Products are $9.99 each. All of these offers Expire 11/28/15. Wella Shampoo and Conditioner options are available for $24 per two. This expires 11/25/15. Of course, there are a lot more deals. If any are worthy of adding to this list as I discover them this week, I will add them here. See all deal articles. View my main page for the guide map to the site and deeper deal exploration.